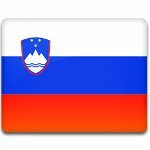 On April 27, the Republic of Slovenia celebrates Resistance Day also referred to as Day of Uprising Against Occupation (Dan upora proti okupatorju). This public holiday commemorates the establishment of the Liberation Front in 1941. During the Second World War, Slovenia (then part of Yugoslavia) was the only present-day European nation that was completely annexed by neighboring states. On April 6, 1941, part of Slovenia was occupied by Nazi Germany. Five days later, the remaining parts were occupied by Fascist Italy and Hungary. On April 26, 1941, a group of political and cultural figures gathered in the house of literary critic Josip Vidmar in Ljubljana and established the Anti-Imperialist Front, which was later renamed to the Liberation Front of the Slovene Nation. The leader of the Front was Boris Kidrič. The anniversary of its creation is celebrated a day later, on April 27. The Liberation Front was the main anti-fascist civil resistance and political organization on the territory of Slovenia. Its armed wing were the Slovene Partisans. Initially they fought as a guerillas, but later became a full-fledged army. After the war, the Socialist Alliance of the Working People of Slovenia was formed on the basis of the Liberation Front.